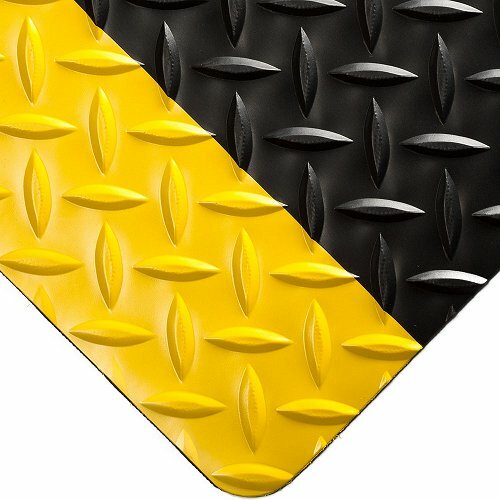 Diamond Checker Plate Runner with yellow safety edging is a solid and tough industrial looking 3 mm runner mat. 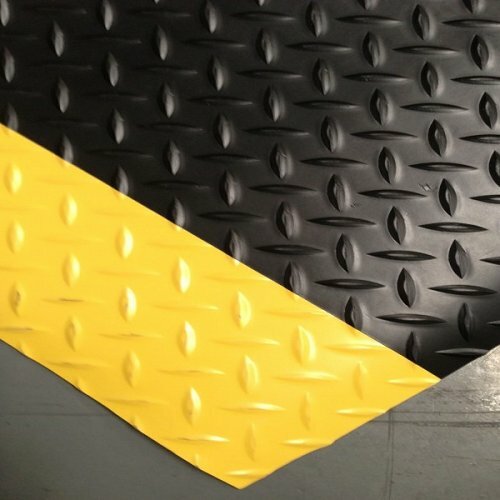 The mat is resistant to grease, oils and industrial cleaners and is fantastic in protecting manufacturing or workshop floors and will give your employees insulation against cold concrete floors. So easy to clean, just a once over with a mop this PVC matting is a must for any industrial setting. 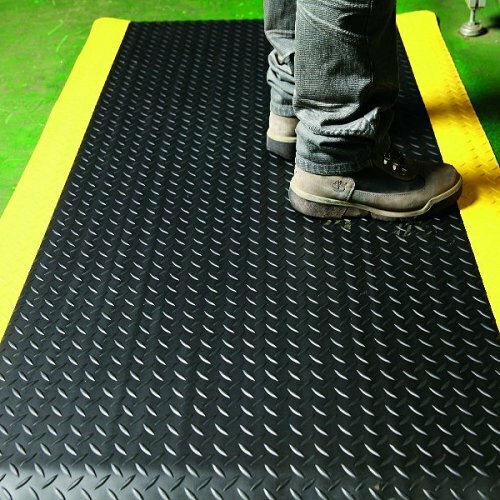 With the bright yellow borders the mat is effective in steering foot traffic around your factory.